<TV stalwarts John Ratzenberger and Donny Osmond have new gigs. 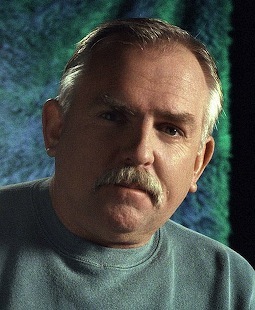 ***His character walked the walks as postman Cliff Clavin on Cheers. John Ratzenberger will really have to step it up, though, as Vincent Pastore's belated replacement on ABC's Dancing with the Stars. Pastore, 60, quit earlier this week after deciding he couldn't hack it. Ratzenberger, who will turn 60 on April 6, is getting just two weeks -- instead of his competitors' four -- to train himself into hoofing shape. His partner will be statuesque Edyta Sliwinska, the only pro dancer to be on all four editions of the show. It returns on March 19. 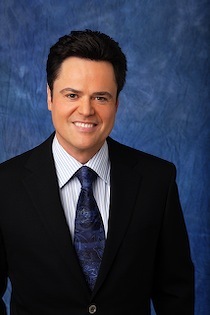 ***Toothy Donny Osmond -- now why isn't he on Dancing? -- has been named to host ABC's The Great American Dream Vote. The wish fulfillment series will sneak-preview on March 27 before moving to its regular Wednesday slot (7 p.m. central time) on the following night. Viewers will vote weekly on which of several contestants "most deserves to have his or her dream realized," the network says. ***The CW network's Crowned: the Mother of All Pageants is combing four cities -- including Dallas -- for mother-daughter teams. Dallas auditions will be held on Saturday, March 10, beginning at 9:30 a.m., at the Hotel Palomar, 5300 E. Mockingbird Lane. The eventual winning team (daughters have to be at least 18 years old) gets a "valuable prize package" that includes $100,00 in cash. An air date hasn't been announced yet. For more details, go here. ***Fox has ordered four more one-hour episodes of Are You Smarter Than a 5th Grader?, which has drawn big ratings following American Idol. The show's Tuesday (Feb. 27) premiere drew an eye-opening 26.6 million viewers nationally and had more teenage viewers than even Idol. ***It's getting to be the way of the world. Arizona Sen. John McCain announced his bid for the Republican presidential nomination on Wednesday's Late Show with David Letterman. McCain said he'd make a "formal announcement" sometime in April. But "you don't just have one rendition," he told the host. "You've got to go over and over . . . This is the announcement preceding the formal announcement." And if elected, he'll be sworn in on The Daily Show.